Since taking a degree in Geography at University College London, Philippa has 30 years of business experience. She began her career at Citibank NA before joining Bowater in their Corporate Treasury Department in 1979, leaving in 1988 as Group Treasurer. She was Group Finance Director at DG Gardner Group, a training organisation, prior to joining Thorn EMI in 1993 as Group Treasurer until 2000. In 2001, she was appointed Director of the Institute of Business Ethics. In connection with her IBE role, she served on the Woolf Committee 2007/8 looking at ethical business practice in BAE Systems plc. She speaks widely on business ethics issues, encouraging high standards of business behaviour based on ethical values. She sits on the Board/Advisory Board of the Chartered Institute for Securities and Investment (CISI), and RAND Europe. She is a Visiting Fellow of the Said Business School at Oxford University and Honorary Vice President of Employee Ownership Association. 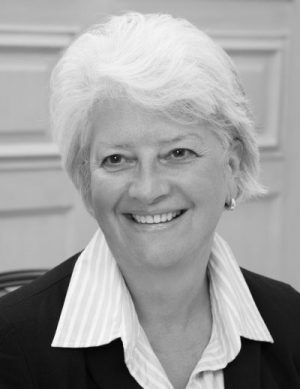 She chairs the Antarctic Place Names Committee and is former chairman of the UK Antarctic Heritage Trust. Since February 2016, she has chaired the South Georgia Heritage Trust. Philippa was awarded an OBE in the New Year Honours 2006 for services to the Ministry of Defence and in July 2008 was awarded the BITC Marks & Spencer Sieff Award. In the 2014 New Years Honours she was awarded a CBE for services to Antarctic Heritage.